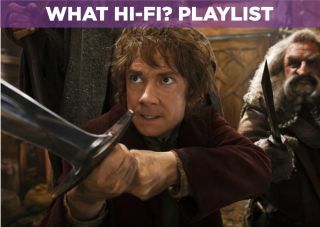 The Hobbit: The Desolation of Smaug Blu-ray review | What Hi-Fi? It’s too long. Yes, it’s also fun, epic and more thrilling than the first part. But, crucially, it’s too long. The Desolation of Smaug spans about five chapters (or a third) of a 300-page children’s book, and yet it lasts 160 minutes. It took less time for Stanley Kubrick to take mankind from apes to deep space. This second instalment has Bilbo Baggins and friends visiting a mountain to provoke a dragon. Along the way they meet spiders, elves, humans and lots of padding. Peter Jackson seems stuck in the mould of epic sagas, not realising (or deliberately ignoring) that this prequel is supposed to be short and sweet. And so a simple story is stretched and our patience is tested. There are extended action sequences (fine), nods to the Lord of the Rings (fine) and the makings of an interspecies love triangle (possibly not fine). There will always be those who say ‘the book is better’, but here they are right. Deviation from the source material is understandable, but the tone is muddled. Playful escapism is distracted by half-hearted fan service and then overpowered by grim seriousness. It’s a cinematic feast where service is inconsistent and you are given cigarettes and a vegetarian lasagne half-way through your pudding. Get past all that and it can be an enjoyable ride. The production values are impossible to fault, and Peter Jackson again succeeds in selling the picturesque New Zealand as an epic holiday destination. The action is fun, with a river chase sequence that stands out as particularly inventive. There’s also the best dragon ever, and who in their right mind doesn’t like to see Sir Ian McKellen hamming it up in a massive hat? Some of the more dramatic stuff is very effective, especially when the ring of power starts to affect the otherwise-affable Bilbo. Ultimately, The Desolation of Smaug does have plenty to keep you engaged. Just be prepared for a long ride with needless detours, and maybe a toilet break. On the technical side, this is everything you could ask from a Blu-ray. The picture is clean and sharp as an elven blade, with great contrast and punchy colours from a nice variety of locations. The DTS HD Master Audio 7.1 soundtrack will no doubt become a test favourite. Howard Shore’s score is suitably stirring, and there’s plenty to challenge your system’s ability to steer effects. For all its flaws, the second Hobbit is worth watching. You’ll enjoy it while it lasts, but in the end you may feel frustrated that it’s still not over.